Brian Parrott from the Canadian High Commission and Cameco President James A. Dovchuk — met Minister of State for Atomic Energy and Space Jitendra Singh. 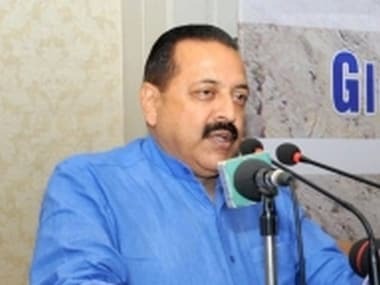 A high-level Canadian delegation — Brian Parrott from the Canadian High Commission and Cameco President James A. Dovchuk — met Minister of State for Atomic Energy and Space Jitendra Singh on 20 September in which the minister referred to traditional friendly relations between India and Canada that he said made it "far more comfortable" for the two countries to collaborate. Singh expressed the hope that in future the overall collaboration between the two nations would gain more momentum, "which will also be visible in the field of nuclear/atomic energy", a statement from the Department of Atomic Energy said. Reiterating India's commitment to the use of atomic energy for peaceful purposes, Singh referred to the extension of the atomic energy applications to diverse areas in recent years.